Taken at Castle Ravensloft. Someone was in a Rick avatar from the "Rick and Morty" cartoon. 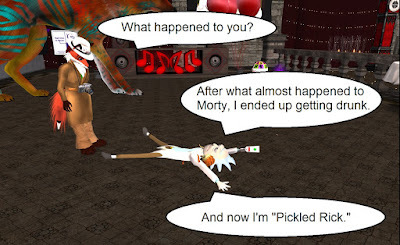 In one episode, he ends up turning himself into a pickle, "I'm Pickle Rick!" As the character is supposedly an alcoholic, he probably ends up "Pickled Rick." 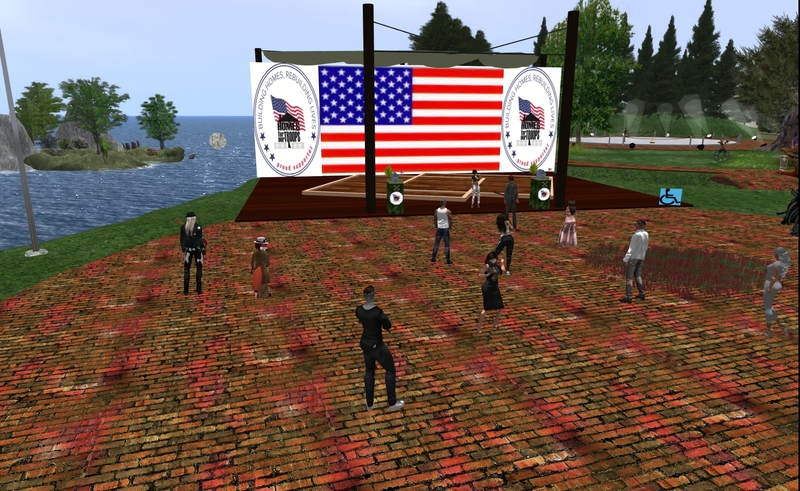 On January 28 from 4PM to 9PM SL time (Midnight EST), Veterans Isle hosted a charity concert. The event had several live musicians and a DJ performing for a crowd. The money donated into two kiosks on either side of the stage was to go to the "Homes For Our Troops" organization. The live singers were Chapman Zane, Ganjo Mokeev, Reggiesunset Rookswood, and Arra. The event raised over 54,000 Linden dollars. 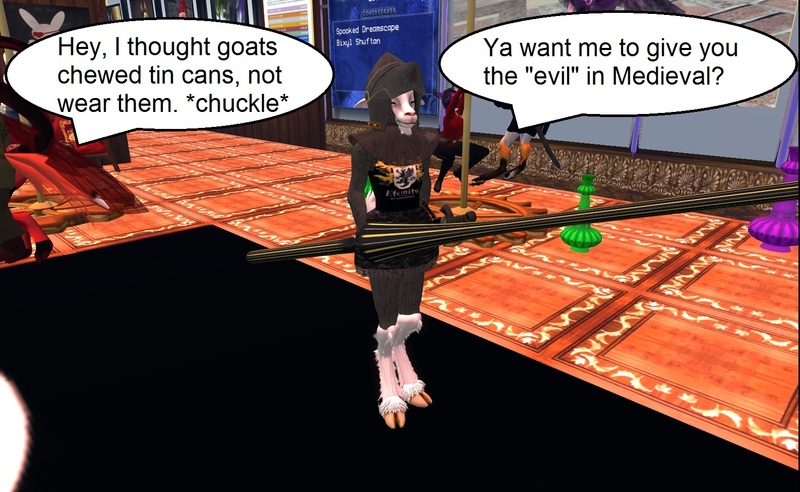 BAY CITY, SL - It’s nearly that time of year again when we look for furry little shadows. You do have your shadows enabled, no? It's not about groundhogs -- it's about the Moles of the Linden Department of Public Works! Initially honored in 2010 by Residents of Bay City, Mole Day is set aside to show appreciation for The Moles and their many contributions to Bay City and the rest of the Second Life® Grid. 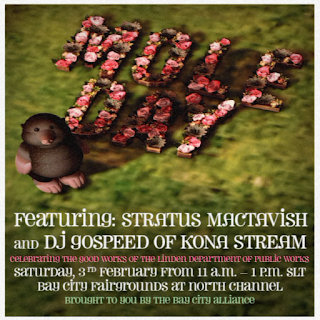 Normally held on the same day as Groundhog Day, this year’s annual Mole Day will again take place at the Bay City Fairgrounds February 3rd commencing at 11:00 a.m. SLT. 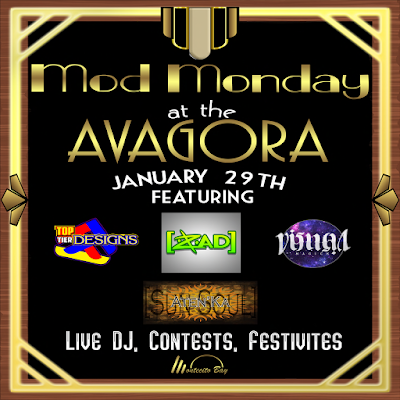 The event will feature DJ GoSpeed Racer of KONA stream followed by Stratus Mactavish performing live at 12:00 p.m. SLT. Moles essentially build all of the grid’s infrastructure: the public roads and railways, items in our coastal waterways and protected lands, and even larger scale projects like the Linden Homes regions, premium content and experiences, and much more. 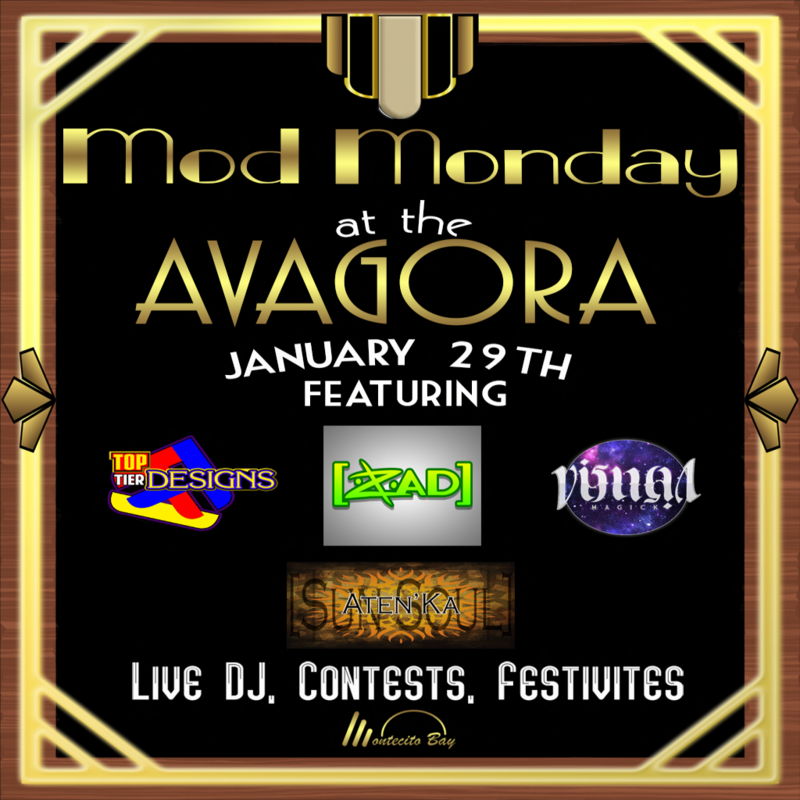 It's a week of events at the Sunweaver and Angel clubs and the Furry Fashion Lounge as they close out January and ring in February. From Lady Digs Jewel (1x1x141 Digfoot): "I've had more positive than negative in dealing with LL. Riding sims are tricky to manage. But I did have a Linden from live chat ride on the back of my motorcycle for 2 hours for the ride up one sim and down the other with 20 members of the MC in tow. .. all the while me MC pres was skeptical about her ability and want to do anything ... and LL switched the sims to the Le Tigre server thanks to me being stubborn and working with Madori. .... I had her ride with me and she saw what was going on the sims. Without her concentrating on the navigation, she was able to concentrate on what the numbers were doing on the sim." 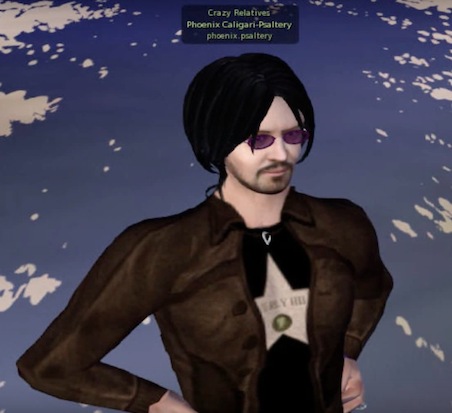 Earlier this month, the captain of the Relay for Life in Second Life team Strange Journey and her real-life brother, Henrietta and Hilshire Demina, were killed in an auto accident. On Saturday January 27, numbers of her friends and supporters came by her virtual family's castle to pay their respects. It was a sad moment, but also one to look upon the happiness that they, particularly Henrietta, had brought to Second Life and the Relay. Mardi Gras takes place two weeks from tomorrow, on February 13. 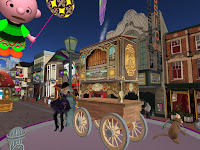 With the day being one big party in places around the world, no doubt "Fat Tuesday" will be reflected in many places and events here in Second Life. Gemma Cleanslate found one such place, the location of an ongoing parade in the Shared Fantasy sim. Set up by FrannyDJ Dean, she also plans some parties. Some sad news from the state of Caledon. 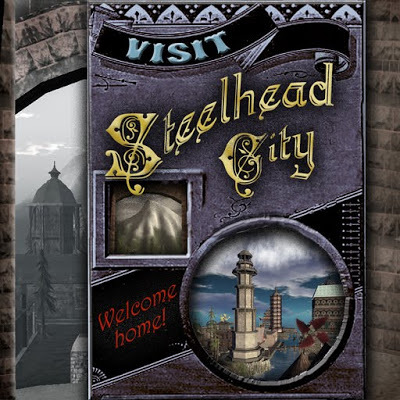 The Middlesea sim is fading away, and the Iron Cloud along with it. 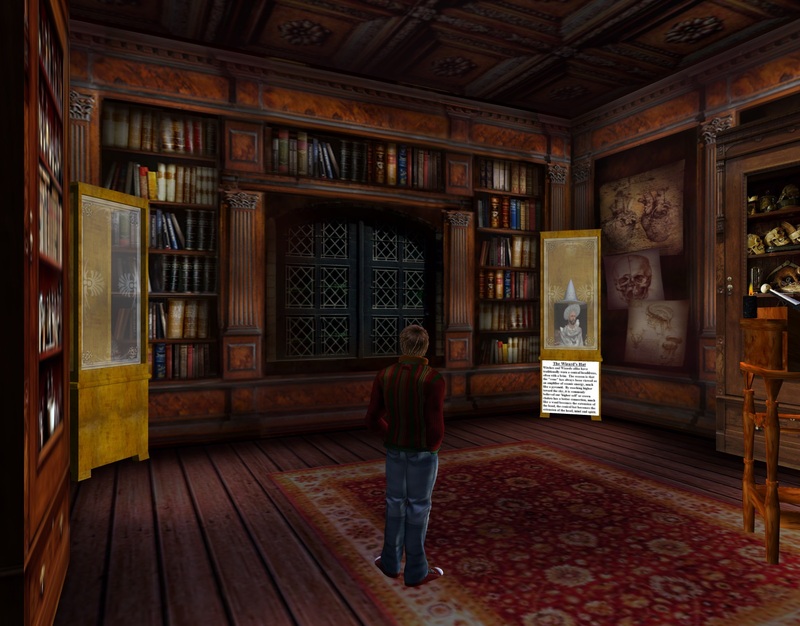 As of the writing of this article, the sim appears on the map, but cannot be seen from outside or can be entered. Wrath Constantine, the owner of the sim and airport, had the following announcement for the Crimson Pirates, whom had the place as their base of operations. Due to RL troubles, I'm forced to shut down the Iron Cloud. This isn't the end of the CP, but it is the end of Middlesea. The Iron Cloud has been aloft for nearly a decade, and some day I hope to bring it back. But for now, I need to fix RL before I can do anything of note in SL. Until we meet again, voyage gloriously my pirates. The Second Life Aviation Wiki describes the Iron Cloud as "single largest aviation facility" in the Caledon sim group. 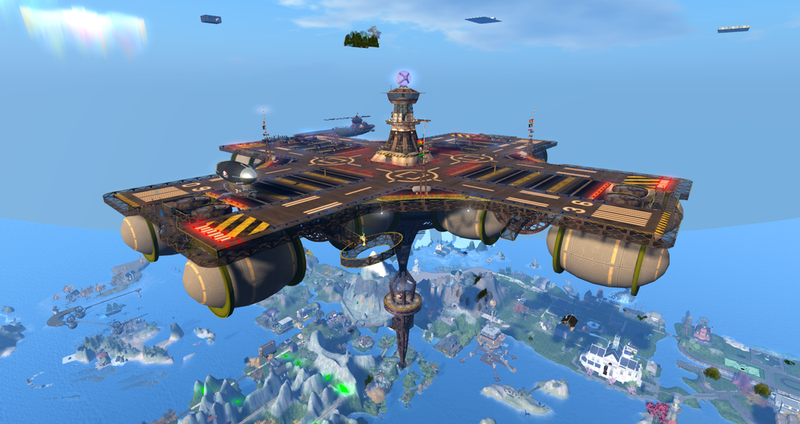 Besides the Crimson Pirates, the airbase was the home of the "Constantine Air Werkz," a local business of the steampunk-themed area. With news of the sim's closing, air routes in the region were changed. Picture from Gemma Cleanslate of her fishing friend Tibbis. 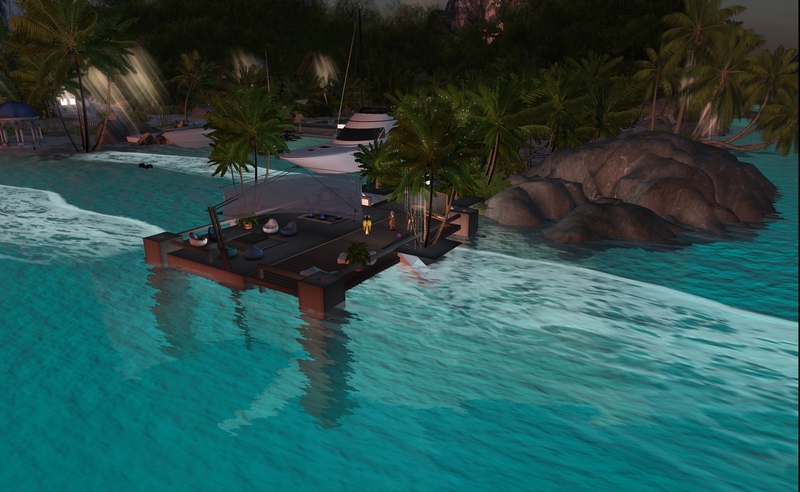 I was recently at an island getaway vacation spot in Second Life, the AiR Club and Resort. Created and owned by Roxanne (Hiddeyn Resident), she invited me over to have a look. Dropping over, the place's default time had been set to dawn, resulting in a picturesque sunrise to the east. "I honestly wanted to create somewhere really peaceful that felt like a vacation," Roxanne told me, " I really wanted to create a place similar to my real-life vacations." She told me the location of the real-life location the sim was based on was in the Seychelles Islands hundreds of miles off the eastern coast of Africa in the Indian Ocean. "And (I) was sick of skybox clubs," she added, "not enough places with fresh pixel 'AiR,'" hence the sim's name. At the entry location, I noticed meteors streaking across the still dark sky. "They were here from Christmas," Roxanne told me with a smile, " and I decided to keep them. And also the twinkly lights. I'm a big fan of twinkly lights." The place was fairly quiet at the time, "You've caught us on a Saturday where we don't have an event. Not usual, but we had so many people off sick and on vacation, we decided to have a quiet Saturday." She offered to show me around. We first went to an open-air club. "This is the AiR Chill lounge ," Roxanne told me, "It's parcelled off from the main club - we have small accoustic sets and poetry readings here. Also people chill by the pool and play greedy, sometimes Dj's will do ad hoc sets, etc. We have various areas around the sim for people to hang out - I really want to encourage people to think of it as their second home, or at least their Second Life vacation home. Im certainly not in this for the money (laughter). ... That part is slower than I would like. I have spent the last few months getting the live music side running and its very successful. We had 92 here here the other night. ... most of the artists and DJ's love the open aspect." It was about then that AiR's co-owner Spence Corwin appeared. Roxanne told me, "Spence has joined me at AiR recently - hes very experienced and has brought a great energy." When I asked how long AiR had been running, Roxanne told me, "We celebrate our six month 'anniversary' on 29th January. That's a lifetime in SL for venues, well feels like it (smile). ... It took a while, and on my old avatar I had some experience - slow and steady wins the race." We began walking around further, Roxanne fast on her feet ahead of me and Spence, "Sorry ... I need to find a slower AO." We soon approached a small harbor with a large yacht, which she quickly put away, "Sorry. just realized I had left a big boat. We have a marina for guests to party on the boats - the water isn't sailable (smile). We are going to have our sixth month party on the yacht - I just need to place it better (smile)." Before long, the man would have to log off. "Spence is also unwell," Roxanne told me, "he came online to say hi." We walked around down a path in the rain forest, "The place has lots of little vistas and hang out areas. The club is a small part." We soon came across a bridge over a stream, which was hanging so low, the middle part went under the surface of the water. "That water is splashable," Roxanne told me, and walked across it herself to demonstrate, "It's embarrassing how much time I walk over that bridge (smile). Easily amused I am." One of the more memorable events in the island's history took place in late October, "At Halloween we were visited by ten pirate ships. All ghostly of course. Well, they took a few souls, but it didn't hurt traffic too much (grins)." When I asked if the place had a shoe shop or fish market for the occasion, she giggled in response. She would later say in December, "At Christmas we had sandmen, instead of snowmen, who gave out random gifts." There was also an elven-themed wedding here. We continued on. Roxanne told me of the island, "it's been designed in that hopefully you will find a new place each time you visit." Eventually, the path took us to a large pond with some sandy shore and rocky cliff and jungle around it. There were stepping stones allowing people to walk across it, and a waterfall going down one cliff. "This is one of my favorite parts of the island," Roxanne told me, "with the exception of the sunsets." She told me she planned to add to the underwater, "this area will eventually have mermaid/man items underwater, a few bits under the water here and also in the marina area. For now - we have to stick to the stones." She headed to the waterfall, going inside, and following her there was a hidden cavern inside, "Another cuddle area and I just love this cave (smile)." Besides the cuddle spots, couples could also enjoy the rental cottages, "We have four vacation rentals here, designed for only one to two nights, max seven. 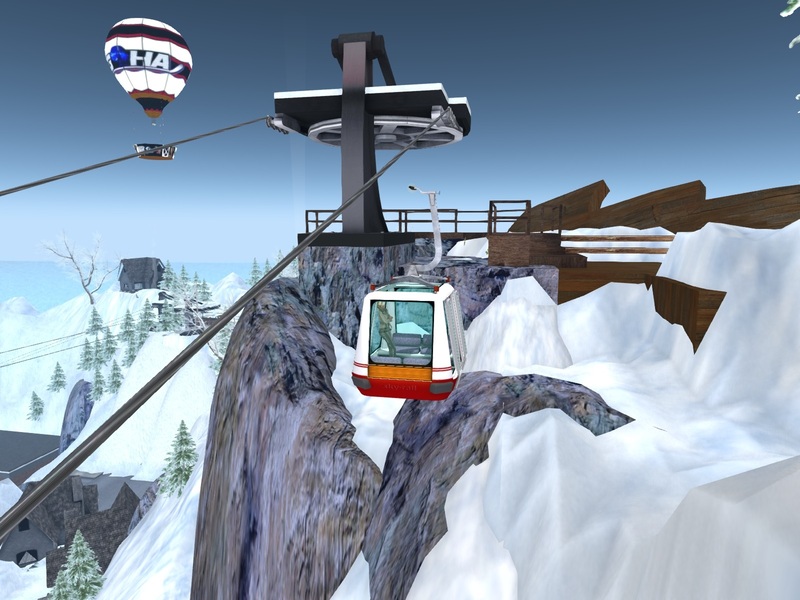 (They've) been really popular for those getting married in SL or proposals." She showed me one after turning off it's security system, which was to help ensure the privacy of any renters, "We have four, all slightly different. ... I think more people in SL should take vacations (smile)." She did say there were gift certificates for rentals to give out as presents for friends. We ended the tour at a pier area, in the southeast corner of the island, "this is where you'll usually find me at sunset, and where a lot of people come to chill out. (There is a) few more games and cuddle places down the way as well. ... I missed out the forest and some bits that also have cuddle areas, but thought I'd not bombard you with places." She had made sure there was plenty of places to see on the sim, "It's just one island but I've not tired of it yet." Roxanne went onto say that the place had a policy of welcoming all types of avatars, saying one of the regulars was a full-sized dragon avatar, and she herself has a microfox. For those in the VIP group, "we try and give a different VIP gift every few months." One example of one was a chair made to look like half a boat. She told me there are currently about 350 in the group. For more information, check the website at http://www.air-sl.club/ or the Flickr page at https://www.flickr.com/groups/4138957@N21/pool/ . 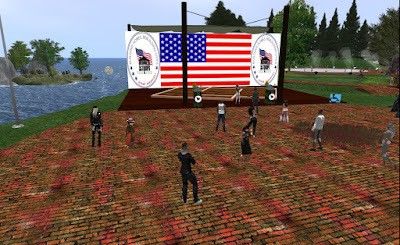 Press Release: Join Us for One Billion Rising in Second Life 2018! 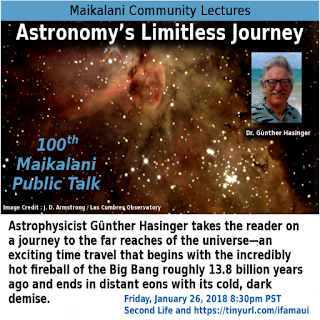 Announcement: Univ of Hawaii, Astronomy Presents: "Astronomy's Limitless Journey"
Astrophysicist Günther Hasinger takes the reader on a journey to the far reaches of the universe—an exciting time travel that begins with the incredibly hot fireball of the Big Bang roughly 13.8 billion years ago and ends in distant eons with its cold, dark demise. 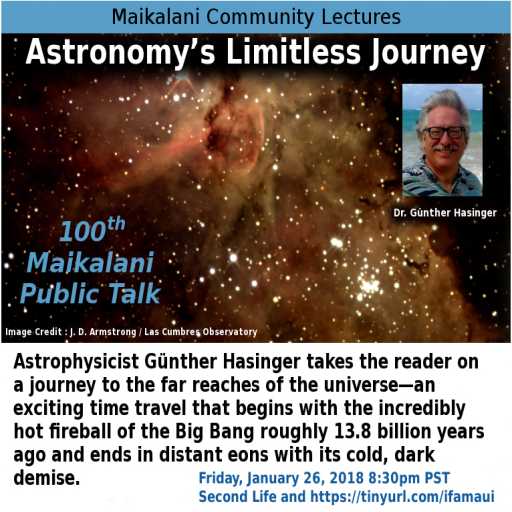 This is a special event as this is the 100th public talk we have given and it's Dr. Hasinger's last one as head of the Institute for Astronomy. 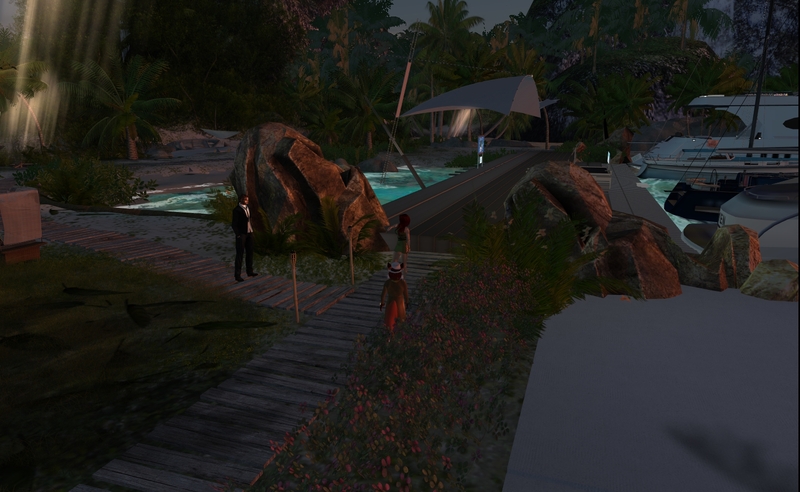 Klaus Bereznyak has been keeping an eye on what's been going on with the art and culture scene of Second Life. While there's plenty that deserves attention, he came across three that in his opinion are must-see. One is "Visions of Beauty" by Paula Cloudpainter. Next is the Montara Bridgeworks Gallery by Pearl Grey. Last but not least is InterstellART by artists Sanjeewa Kumara and Sujeewa Kumari of Sri Lanka. Suppose Earth was doomed, or at least anything on it's surface? Could we get enough people to survive a trip through space to make a new home elsewhere? That was the topic of last Saturday's "GeekSpeak" science chat. Taking place about every few weeks, dropping in I found an hour of lively chat. Read the article in Events. Yesterday, Hamlet Au reported in New World Notes that Phoenix Psaltery, a longtime resident of Second Life, had passed away. While the exact cause of death was not given, he had been admitted to the hospital last week suffering from high blood pressure and an infection. He was 58. Phoenix, known as Alan Seeger in real life, was a writer and a musician. 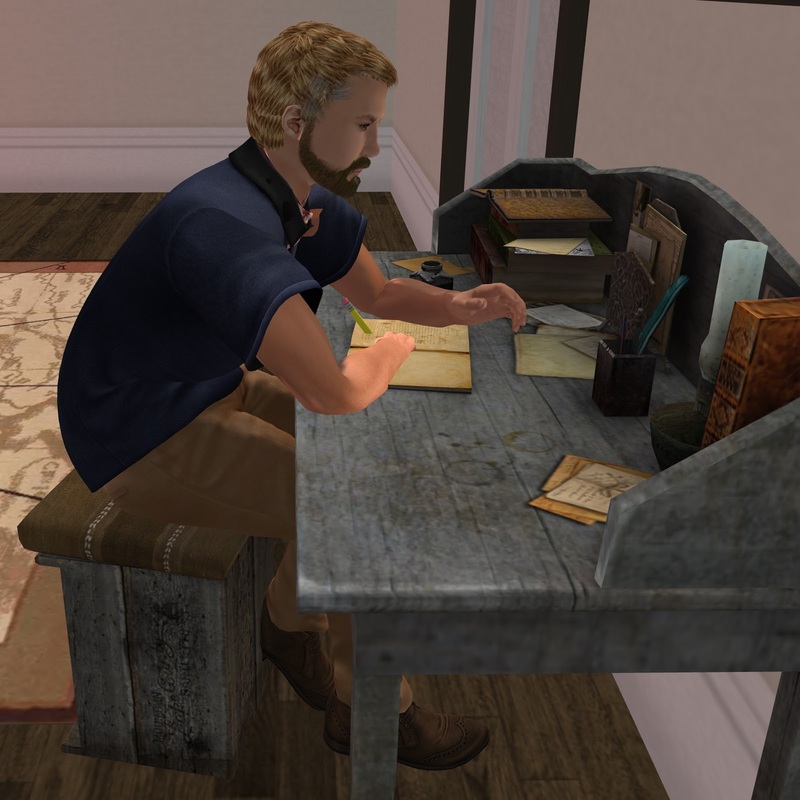 Among the things he was known for was being the co-founder of the Metaverse Messenger, an inworld newspaper reporting on the news of Second Life, which began in August 2005. Phoenix would step down in 2008, and the paper's readership began to decline, folding in mid 2009. Saturday January 20 at 3PM had one of Furry Fashion's nuttier events recently, it's "Memes" party. 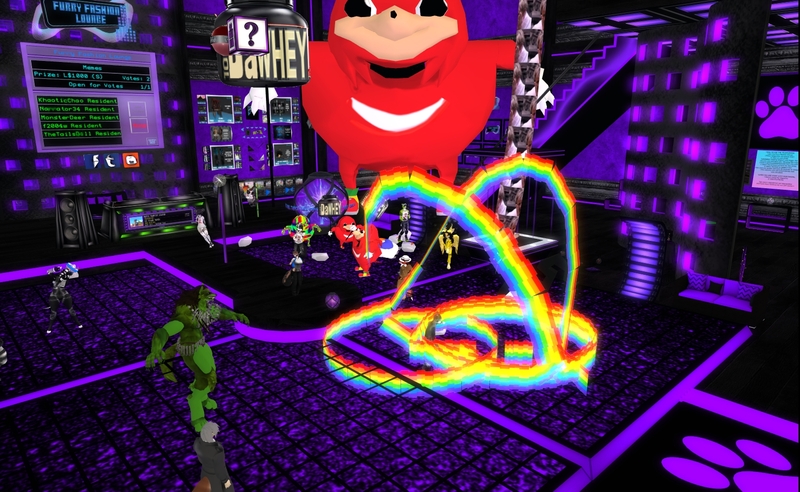 There were a few people showing up something representing something catchy on the Internet from the "Nyan Cat" a few years ago to "Tide Pods" and "Ugandan Knuckles" of today, and a few I didn't recognize. DJ Bengt provided the music. And no, no one was offering to show me "da wey." Gemma Cleanslate's winter activity articles are coming to a close, at least for now. But before she hung up her heavy winter coat in the storage closet, she headed to a place with plenty of cold-weather fun: Chamonix City. Named after the location of the world's first Winter Olympics, the location has a number of sports to try out from "hockey, snowboarding, cross country skiing, sledding, ice skating, and more." A few months ago, as part of it's seventh anniversary, the Newser was doing interviews of the reporters then at the time. But the most recent writer, Klaus Bereznyak, hadn't gotten one. Finally, Deaflegacy got with him. She asked him about what he does in the virtual world, and what he likes to write about. 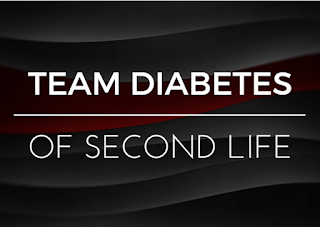 On January 8, the Newser reported on Team Diabates in Second Life stating someone had spammed their group chat during a fundraiser event on December 30, saying he was doing an event of his own for charity and that the money would go to Team Diabetes. But none of this money, over 100,000 Lindens according to the man, never made it to the Team. The Newser had messaged the man in question, Oenneo Resident, but never got a response. Shortly afterward, Oenneo's partner ϮŁσrίŁуηη ŞŧαrşíđєrϮ (LoriLynnGrimes Resident) sent the Newser an angry message, one that I won't go in detail other than it was an outpouring of anger and a claim that the American Diabetes Association was investigating Team Diabetes in Second Life. But when I contacted the American Diabetes Association, they answered this was not true and there was no investigation. 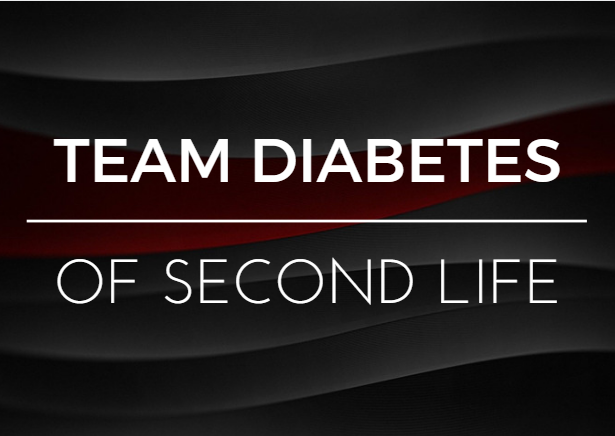 When I was online, she contacted me, being more cordial, but still upset with one of the groups she had mentioned, and insisted the money raised had gone directly to the American Diabetes Association rather than through Team Diabetes. A few days ago, LoriLynnGrimes would sent a message of apology to Team Diabetes and OYO Breedables, saying Oenneo had confessed to lying about the money he raised from the chat spamming going to charity. I want to first apologize to you all. I will explain. I had no reason to doubt neo. He was my heart and I loved him and ultimately trusted him. I sadly trusted the wrong person and it was not only you two whom were hurt in the process. He never paid a charity I am finding out now. I gave him the earnings from the raffle we had and he did not do as he said. But what he did do was pay for a massive building to be made called "The Ark." He plans to open it up in March called "Galaxy Enterprises presents the Ark Experience." I am so disgusted and ashamed and would somehow like to do what needs to be done to make it better. I am heart broken he took all that money. Even if I have to pay every week to square the promise donation I will. I am so very truly sorry. I am just so sick and so humilated in what he did. I will also do whatever needs to be done to make things right. I am so devasted and feel so used and exploited. I wanted so badly to help people and he took advantage of me and also my patrons. He disclosed to me this evening he did not give the money to the american diabetes. I felt my whole world crumbled just then. I was so so devasted. I broke up with him instantly and also closed the business I shared with him. I cannot be with such a vile heartless human being. I am so sad he did this and hurt so many people. I hope to hear from you soon in how to make things right. My son ******* was killed this past October and I was not really complete when I began really trusting Neo. I was destroyed by my sons murder. I have no accuse for my mouth other then I truly felt Neo was being honest. I was at sucha weak point in my life and allowed him to control every aspect of my business and I did not see what he was doing. Anyways I am truly sorry for everything and I will make this right. Just need to know how. So it seems there's finally an answer on what happened to the money in question. How LoriLynnGrimes will "make things right" with Team Diabetes remains to be seen. Henrietta Demina, team captain of TSJ and Co-Coordinator of the Castle, Home and Garden Contest and her brother Hilshire Demina, longtime Relayers, passed away earlier this week, being killed in an accident. Please join us (TP/LM to be sent closer to the date) in remembering Henrietta and Hilshire. *TUESDAY, January 23rd at 7pm: William Pene du Bois' TWENTY-ONE BALLOONS Begins with Faerie Maven-Pralou. Rowena Dubrovna of the Relay for Life's Team Strange Journeys had some sad news today. Team leader Henrietta Demina and her brother Hilshire Demina were killed in a car accident. 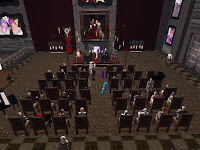 Plans are being made for a memorial service inworld, and a date will be announced soon. Rowena went on to talk more about these two valued residents whom will not be soon forgotten, putting her feelings down in an article sent to the RFL Volunteers group. Read the Reader Submission in People. It's been a busy week for us at the Newser, with most of us having to deal with technical difficulties or other complications in real life. 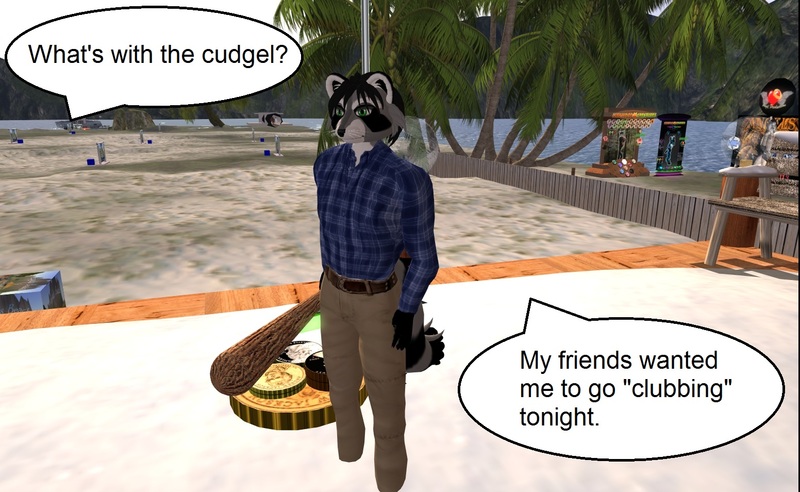 For yours truly, I've been exploring another virtual world: VR Chat. I'll have an article ready soon. 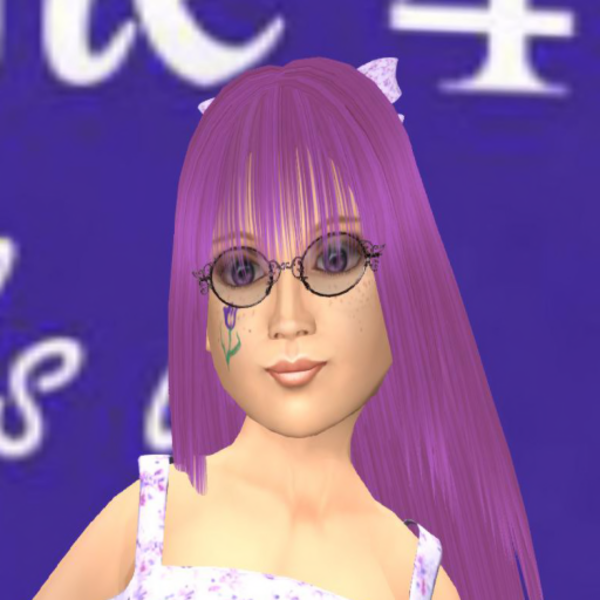 For now, here's a picture of the avatar I had once I was inworld a few minutes. Taken from the "Tooned In" event at Club Cutlass on January 13. This Road Runner avatar was donned by none other than RECoyote Mindes. So this would be the first time that the Roadrunner and the Coyote would be wrapped up in one package. 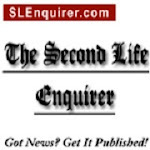 Second Life isn't just about the clubs and making stuff. Sometimes you just want to play a game. 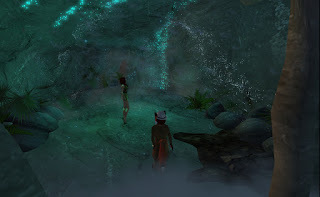 A few months ago, Linden Lab announced their latest inworld game, "Tyrah and the Curse of the Magical Glytches." Yours truly gave the game a try, and recently wrote about how it's played. Read the review in Design. On Monday January 15, Aero Pines Park was the scene of a "Mixed Reality" event. 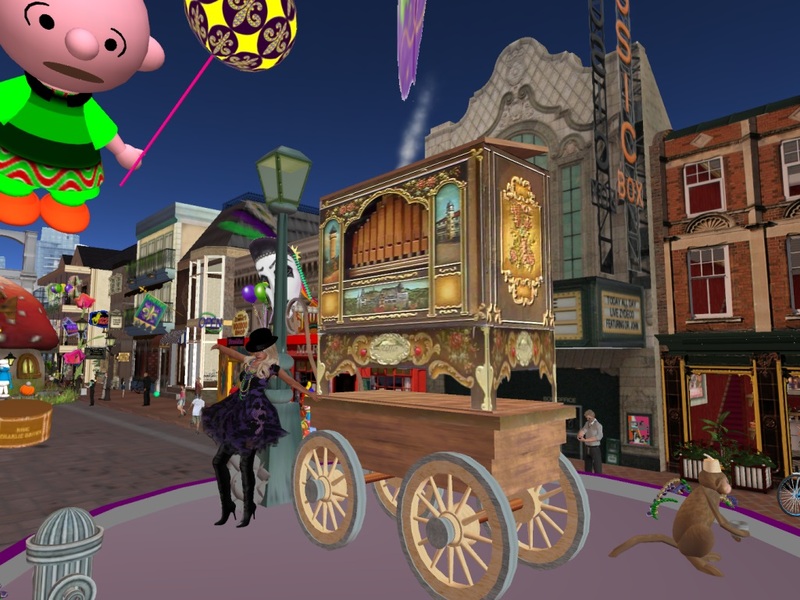 A live music performance was being broadcasted both in Second Life and the SinceSpace virtual world. 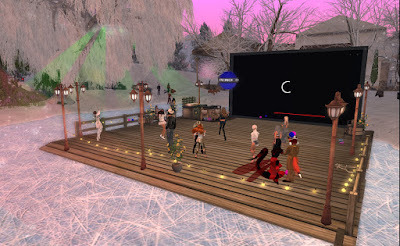 The event took place at 6PM SL time. Besides dancing, some people were skating nearby. SPECIAL EVENT! 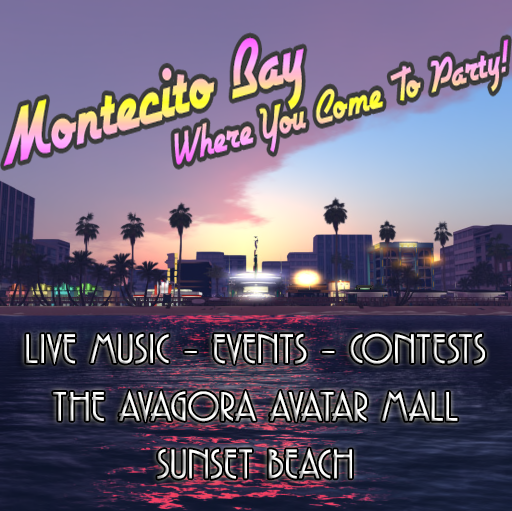 Live Mixed Reality Music Concert- Songwriter James Olmos - Join us Monday Jan 15, 6pmSLT for a unique mixed reality event. Experience a LIVE video webcast to TWO virtual worlds! Enjoy Singer/Songwriter James Olmos performing original works on acoustic guitar. 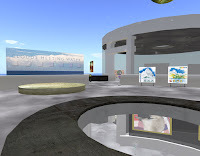 Featuring the new virtual world SineSpace streaming live to Aero Pines Park Winter Festival in Secondlife. Arrive early to get a spot! Cindy Bolero, the owner of the park, was there. She told me the last time she had this kind of event, they had the singer's avatar in both virtual worlds. Besides events like these, Aero Pines Park is the scene of various other activities, including horseback riding. They've also had a Superbowl party every winter. Taken at the Happy Vixen. Cynthia Farshore recently notified me of a number of additional items up for sale at her "Farshore Shipping and Trading" store in Sunlight Bay. The brand of most of these goods will be familiar to longtime readers: Furry Fashion. 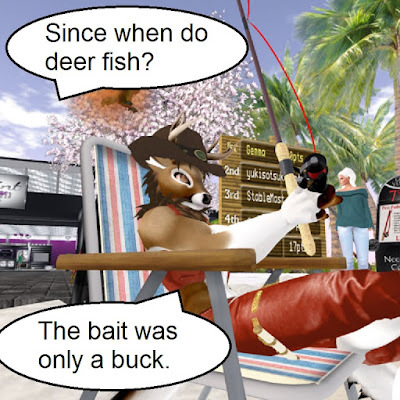 The decision of Furry Fashion to change it's Furry sim rating to adult (which was made only after talks with some in the staff whom had concerns), was not well received by everyone as the comments after the announcement in the Newser shows. 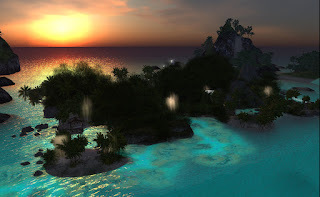 As Sunlight Bay has a rating of "Moderate," the new goods at the Farshore store allow a location for those who want to shop at an inworld location with their goods but can't or won't set foot in a sim with an "Adult" rating. About a year ago, The Raglan Shire region was the scene of some map madness. 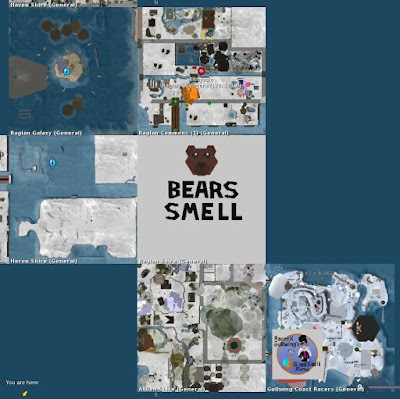 Last week, it started up again, with someone skywriting "Bears Smell" over the sim that "bears" the region's name. What local ursines had to say about the statement is unknown. 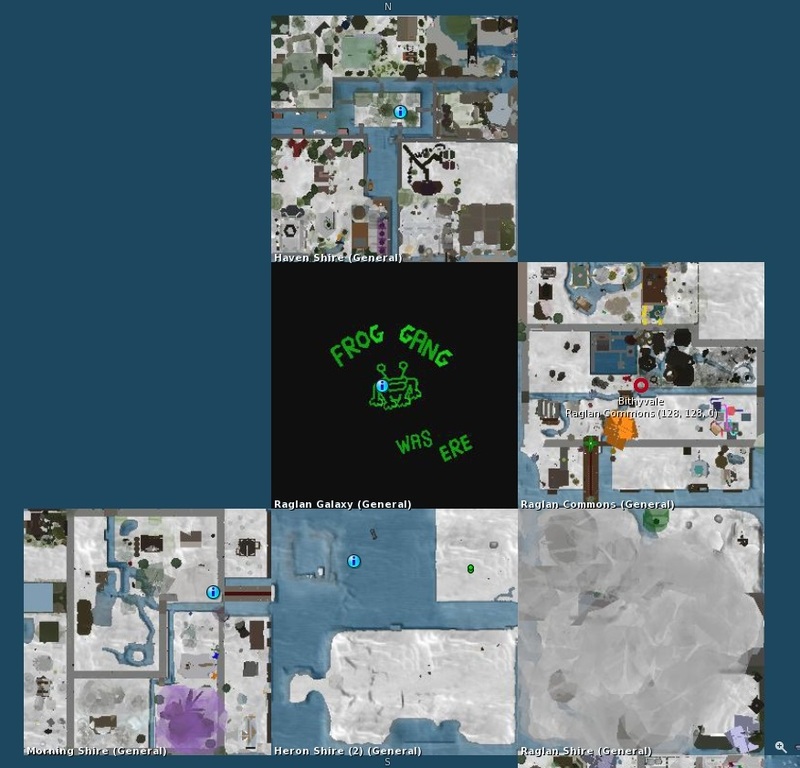 Yesterday when I looked, the message over the sim was gone, but over Raglan Galaxy was a new one: "Frog Gang Was 'ere.' 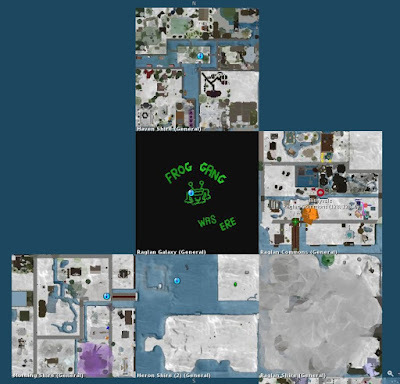 Just who the "Frog Gang" would be is unknown, though Frogg Marlowe of "Jaycatt and Frogg" can be ruled out. What mayhem on the map will be next, time will tell. If Linden Lab has a theme song these days, it might be "Oops, I did it again." In December, Linden Lab found itself in a public relations flap when Strawberry Singh was asked by them to remove or edit a video with Second Life's eye-in-hand logo. When the Lab later apologized and annouced their trademark policies would be revised to allow others to promote the virtual world, all seemed well. 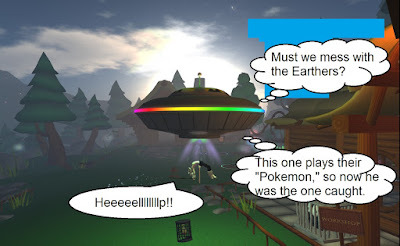 But recently there was a dispute involving a blog of Linden Lab's other virtual world: Sansar. 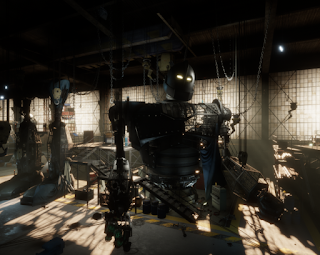 On January 8, Ryan Schultz posted in the Sansar Newsblog about the "Aech's Garage" location, a build of a place in the upcoming Steven Spielberg Movie "Ready Player One." Shortly afterwards, he was contacted by Linden Lab, and he was asked to take the pictures in the article down and apparently there was a problem with the blog's use of the word "exclusive." 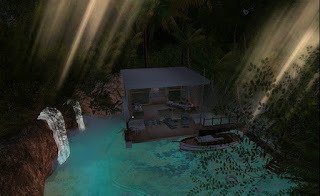 "Apparently, someone at one of the many companies mentioned in that blogpost is upset," he would later post in the comments of Inara Pey's article on the location, telling her, "you’d better be prepared for a request from Linden Lab to take down the pictures you posted to this blogpost." Besides Sansar Studios, the companies involved were Intel, HTC Vive, and Warner Brothers. After some talks with more in Linden Lab, Schultz was able to repost the images without fear of trouble. But he was asked to take down the word "exclusive." And there seems to be some problem with the name "Sansar Newsblog." 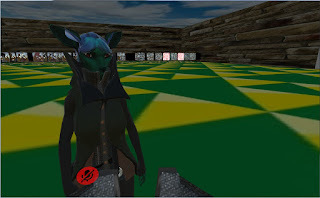 "I have asked Linden Lab for clear, yes-or-no answers," Schultz stated about the issue of the pictures and the name of his blog, and had only gotten one for the former. As a result, he is putting his blog on hold. I don’t want to lose that tight focus on Sansar, on which I have worked so long and hard on with the Sansar Newsblog these past five months. ... I may not be a Warner-Brothers-size company, but my blog is important to me and, if I can believe the comments I have received in support, important to many others as well. Until I get clear, authoritative yes-or-no answers to BOTH of my two questions (Can I repost the pictures I took from Aech’s Garage? Can I keep the name Sansar Newsblog? ), I’m not going to bother spending my time and money blogging for Sansar. Linden Lab can go find some other blogger to cover and promote their platform. Schultz stated if he was told to change the name of his blog, he would stop his focus of Sansar and give more coverage to High Fidelity, VRChat, "and the other new VR-capable virtual worlds ... and the other new blockchain-based virtual worlds that are suddenly springing up." He would later update his post. saying he had gotten an apology from Ebbe Altberg, Linden Lab's CEO. "I do still have a lot of love and respect for Linden Lab. ... However, I will wait for Linden Lab to issue new brand guidelines for Sansar before I start blogging again. I am really tired, and I need to take a break. ... perhaps two or three weeks at most. 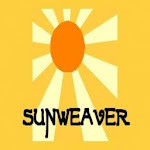 The blog will be back, either as the Sansar Newsblog, or under a new name with a new focus." The incident has been starting to get attention from other blogs and newsletters. Nalates Urriah was reminded of the trouble with Strawberry Singh last month, " ... it looks like the Sansar team is going to have to go through the same learning curve. 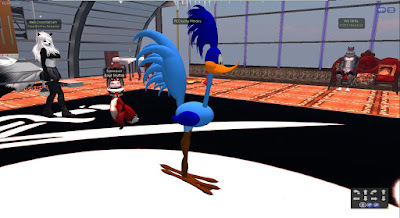 But, I had hopped the SL experience of the Linden support people, like accounting, legal, marketing…, would carry over. I suppose not, now that I see this second ‘take down’ call." Isabelle Cheren would write about it as well, "Be thoughtful to people who visit. Sansar needs the promotion and here you go and upset a person who promotes it daily, often a number of times a day?" 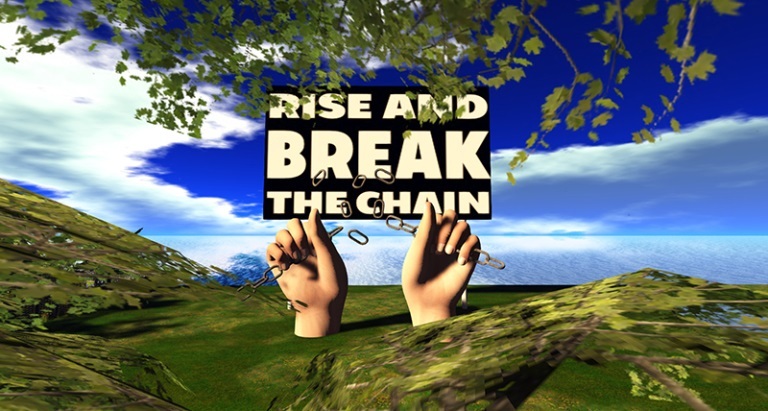 Inara Pey, when asking the Sansar community team for answers, was told, "users are not discouraged from posting screenshots from any experience that is open to the public as long as there is no claim to exclusivity, early access, or other potentially misleading statements or claims that are untrue or could be construed as an official statement from Linden Lab or Sansar." After Sansar was officially opened, it had gotten a lukewarm reception from most. I had gotten a number of comments asking for the Newser to focus on other subjects, notably when the Second Life Friends Facebook group told me any links to Sansar-related posts would be removed. With the Sansar Newsblog on hold, the next-generation virtual world is without a blog that promotes it with singular focus. It would seem once again, Linden Lab's heavy hand has backfired. 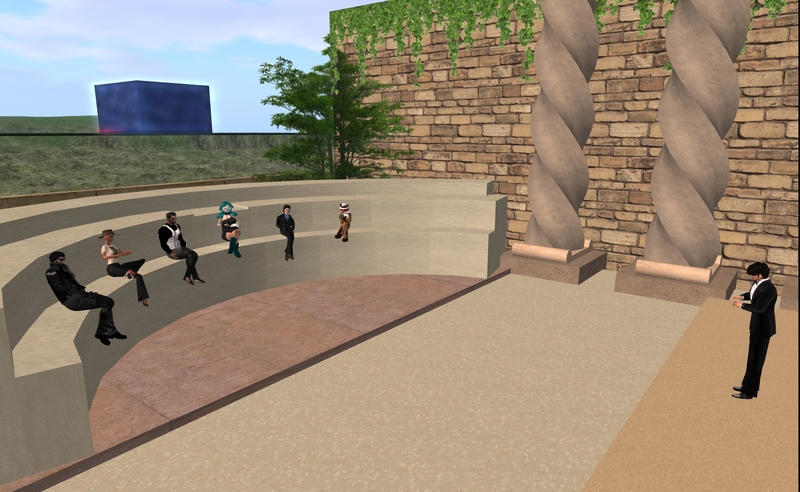 Gemma Cleanslate messaged the Newser that her computer has been disabled and not able to connect to Second Life, at least for now. The trouble seems to be related to the Windows updates for recent computer chip flaws that we wrote about on Friday January 12. Hopefully, she will be back on soon. By Huckleberry Hax on Oct 15, "A short film." So what does one think when the terms "magic" and "wizard" come to mind? Dungeons and Dragons? Harry Potter? At Coniston, Salient Wizard offers to tell you at the "Museum of Wizardry," without the "hocus pocus" of Hollywood, "presented in an educational format for the common person." Klaus Bereznyak went there to look around, and talk to the man behind it. Read Klaus's article in Places.